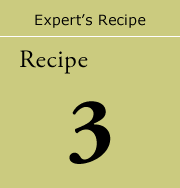 “There is an expression-”bring the ingredients to life”-but the stronger the flavour of the ingredients, the more important it is that the dashi (stock) we use has a sufficient umami level to address this without upsetting the balance. If the balance is good, the flavour will come out fully, and there is less need for condiments-the ingredients come to life. lt goes without saying that dashi is crucial to the Hyotei menu, but l have been looking at other ways of incorporating umami into dishes, using less traditional ingredients and methods. This recipe is inspired by kobu- jime, a traditional method where fresh fish is ‘marinated’ between sheet of kombu (kelp) to enhance its umami taste, but l wanted to use meat instead. Whenever l go abroad, l come across meat that is soft, succulent, and more delicious with every bite, and l think this has as much to do with the way in which it is prepared as with its underlying quality. Japanese people still have much to learn about cooking with meat, and l wanted to combine new ingredients with traditional knowledge. 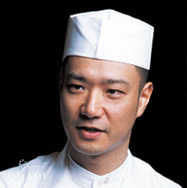 The fifteenth-generation chef of Hyotei. After graduating from university, he spent three years training in a ryotei in Kanazawa before returning to work under his father, Eiichi. Studies gardening, flower-arranging and traditional Japanese ceramics with his father, in order that he can maintain the multisensory dining experience for which Hyotei is so well-known. Active in founding the Japanese Culinary Academy. 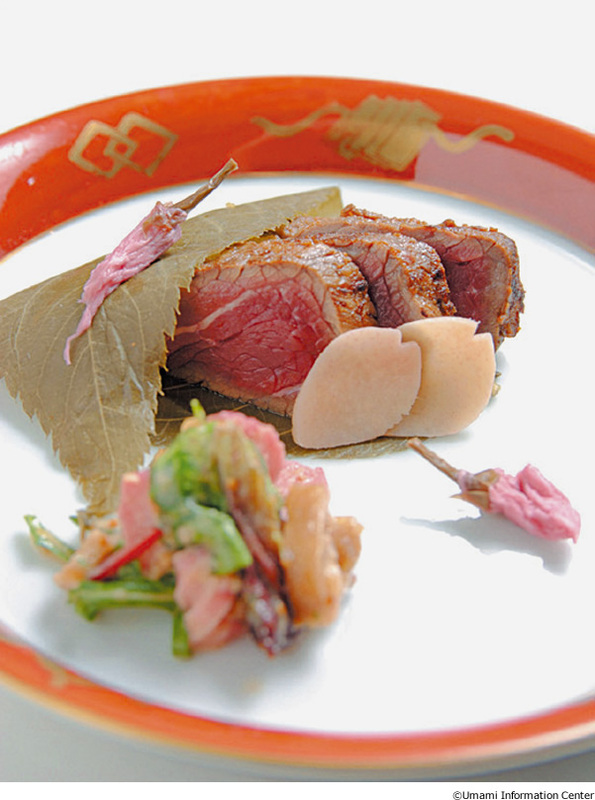 Particularly interested in French cuisine, in 2008 he helped to celebrate the 150th anniversary of French-Japanese Exchange with an exclusive culinary evening at Beige Alain Ducasse Tokyo. 1. Cut the beef into strips, 3cm wide and 5cm long.Sprinkle lightly with salt and set aside for one hour. 2. Soak the dried tomatoes in the sake for half a day,then heat gently until tender.Mix to a paste in a blender. 3. Place (1) and (2) together in a bag and vacuumseal it. Leave in the fridge for one day. 4. Grill until the surface of the meat is browned on all sides; keep the centre of the meat at around 40 degrees Celsius.